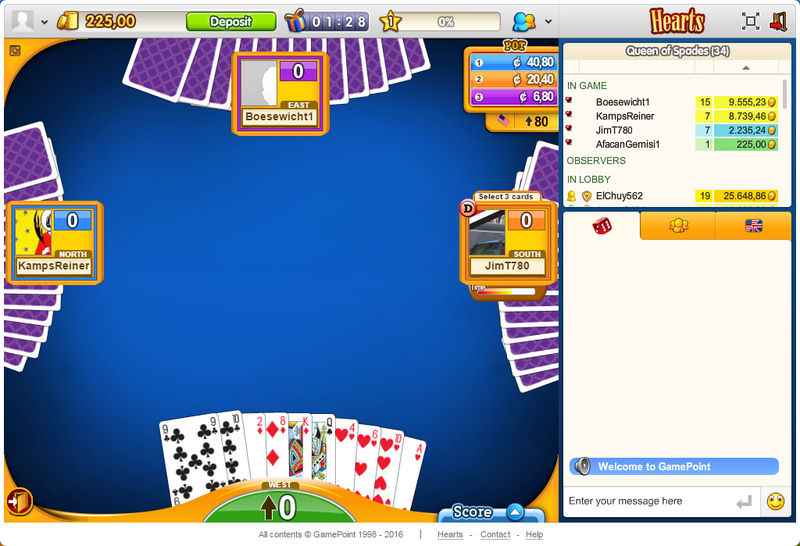 Play the American and the Dutch version of the card game Hearts! 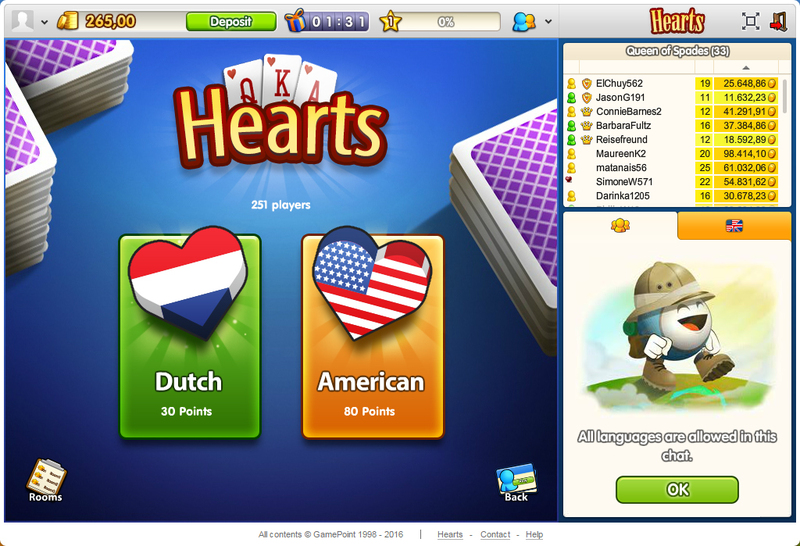 In this great GamePoint edition of the card game Hearts you can choose whether you want to play American Hearts or Dutch Hearts. The rules are slightly different. In Dutch Hearts, try to score as few points as you can, but don't allow your opponents to shoot the moon and gather all the penalty points or you'll be in trouble! You play with the Ace card, number cards 7 through 10, and the Court cards. Each heart card is worth 1 point, the Jack of Clubs 2 points, and the Queen of Spades 5 points. 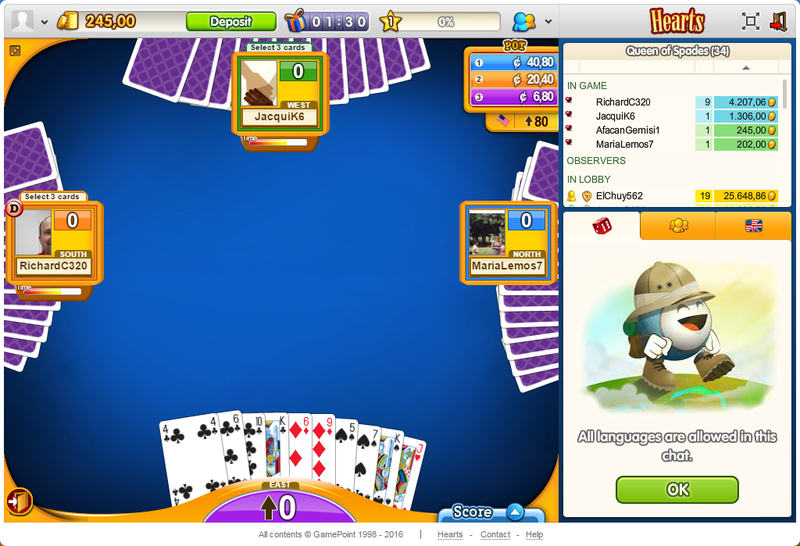 In American Hearts, you play with a bigger range of cards: the full deck. This time, you have to prevent getting penalties for winning tricks with penalty points. All heart cards are worth 1 point, and the Queen of Spades is worth 13! Have fun playing this entertaining trick-taking card game! Governor of Poker 3 - Multiplayer: Card & BoardPlay poker for FREE now! 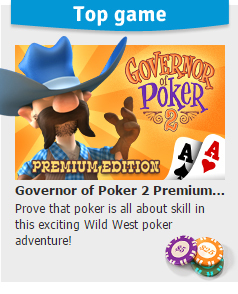 Governor of Poker 3 is free for download in the App store and on Google Play. Thirty-one: Card & BoardSwap your cards with any one of the 3 cards on the table and try to get closer to 31 points than any other player in this multiplayer card game! VIP Spades: Card & BoardVIP Spades is a fast-paced multiplayer card game that will challenge you to bring your best tactics and stratagems!